Pedal or not, using the twist-and-go throttle for instant speed. Use Pedal Assist to help you pedal. Flatten hills and breeze through headwinds. Feel like you’re always going downhill, even up the steepest hills. Feel like a kid again with the freedom to go anywhere and still get home! Go longer, farther and faster than on a traditional pedal bike. Go up to 100km on a battery charge, further if you pedal. It only costs about 25 cents in electricity to charge the battery. It will take up to three hours to charge the battery if it is on empty. To charge the battery, simply plug it in like a laptop. Lose Weight & Get Fit — Cycling can burn up to 500 calories per hour, helping cyclists lose or control their weight while improving their fitness. Reduce Risk of Disease — Cycling can help reduce your blood pressure and cholesterol and can even help fight cancer, diabetes and heart disease. In fact, studies indicate that riding 20 miles per week may reduce the risk of cardiovascular disease by up to 50 percent. Boost Your Immunity — Regular cycling boosts a body’s defenses by up to 50 percent. You’re not just cycling; you’re riding away from germs. Reduce Stress — Cycling reduces stress and promotes relaxation. In fact, studies have shown that regular exercise helps alleviate mild depression and anxiety. Look and Feel 10 Years Younger — Studies have shown that regular cyclists enjoy the general health of someone approximately 10 years younger. Move Ahead of the Pack — Commuting by electric bicycle is one of the easiest ways to fit exercise into your daily routine because it doubles as transportation while still allowing you to arrive at work fresh and not sweaty — plus, it’s green. And fun! No Sweat. Whether commuting to work or school, bicycle commuters have always had to worry about arriving hot and sweaty. On an electric bike, they can control their workouts and arrive at their destinations cool, energetic and ready to roar into action. Rock Star Parking. Electric bike commuters leave parking hassles behind as they pull right up to the front door. Zip Around Traffic. On an electric bike, riders can literally ride around traffic jams, often arriving at their destinations faster than they would in a car. Green Machine. Not only do electric bike commuters save on gas, they’re also doing their part to combat greenhouse emissions in the fight against global climate change. Amazingly Affordable. With no gas stations, car insurance, vehicle registration or parking fees, Pedego riders discover a huge savings at the end of every month — while loving the ride the entire time. Exercise Disguised as Fun. Some riders like to use more motor on the way in to work to stay dry and then use less motor and more exercise on the way home. Electric cycling is a great workout and it also works out your day’s stresses and frustrations. 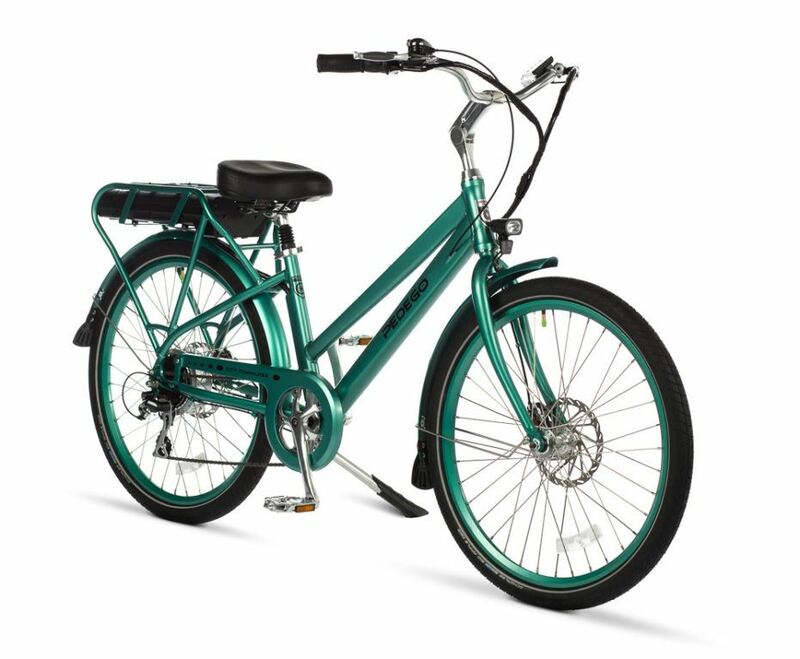 Rentals – Bikes are available from $15 per hour ($90 per day) making it a fun way to try out bike models for extended times and an affordable way to treat family and friends. 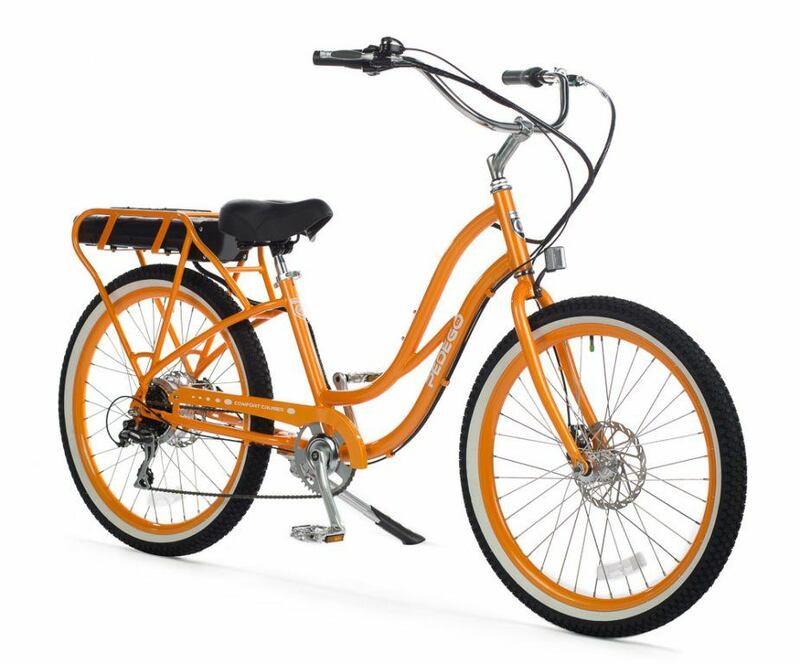 Tours – Many Pedego dealers also offer guided tours that are fun for locals and visitors alike. Pedego stores all over the world offer guided tours including France, Italy, Mexico, USA and at stores throughout Canada. Cruisers, tandems, commuters, fat-tire bikes, mountain bikes, cargo bikes and an ingenious electric folding bike. Pedego electric bikes deliver a green alternative for transportation, exercise and recreation — transforming lives with fun and delight. 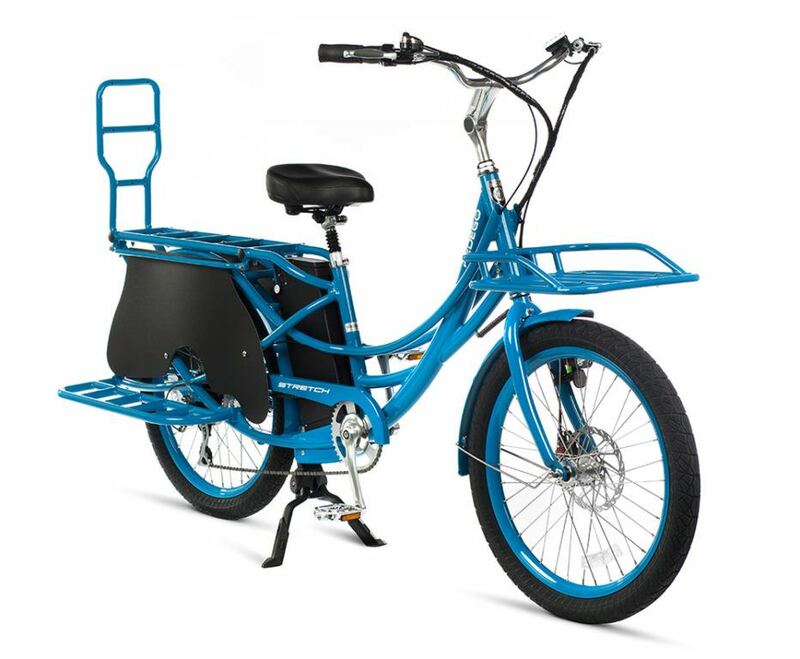 Pedego is one of the only electric bike companies to offer bikes for riders under 5’4”. 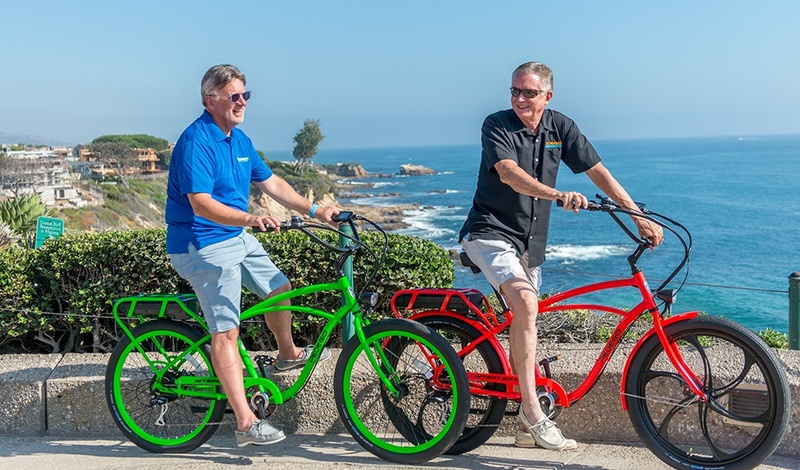 Pedego built the world’s first electric tandem, for double the fun. You can easily remove your battery from the bike and take it inside to charge. Just plug it in. It takes about three hours to completely recharge and costs only about 25 cents to charge. 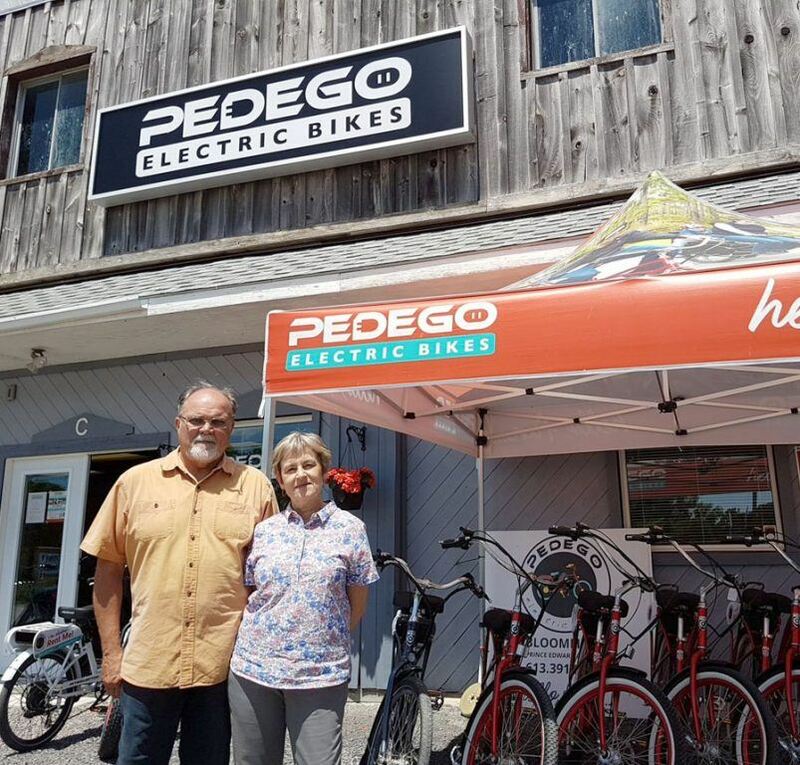 Pedego Canada has grown from a small distributor of electric bicycles to a network of seven dedicated stores in three provinces. There are many more Pedego dealers and Pedego electric bike tour and rental businesses across Canada. 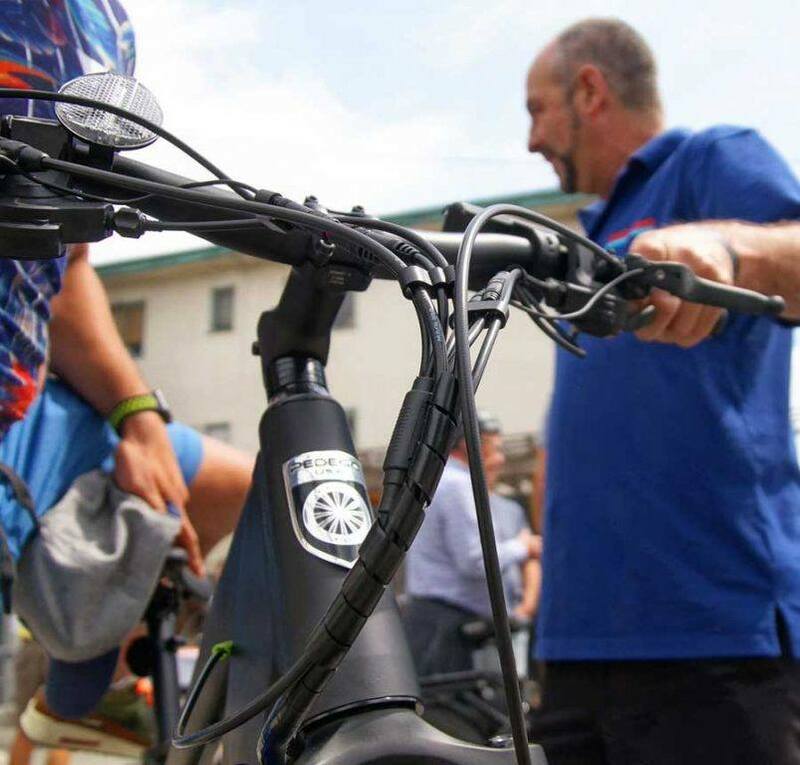 We know we are the most fun brand of electric bicycles available world-wide, and the most established and well known brand in Canada. 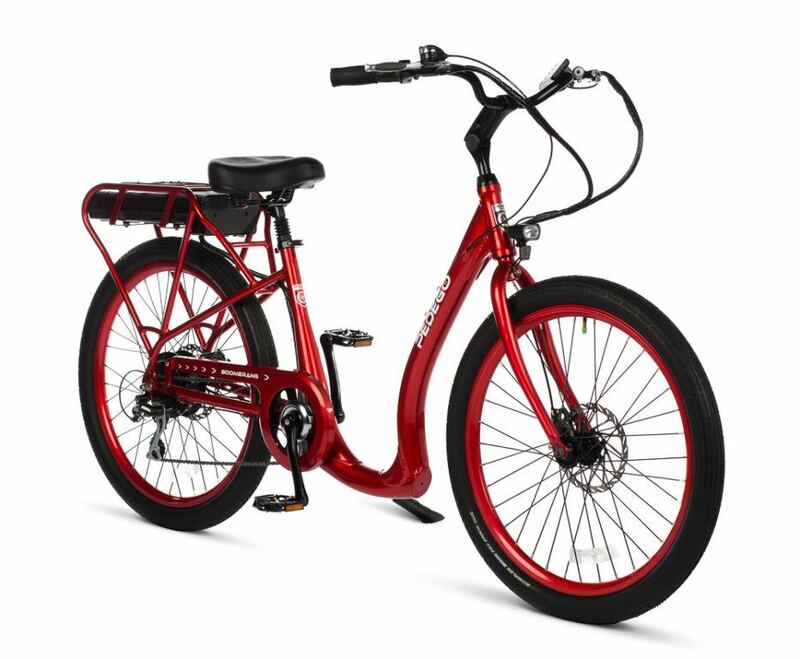 There are 18 models of Pedego electric bicycles sold across Canadian provinces and territories every year, including an electric tricycle and tandem bicycle, and the ever popular Stretch cargo bike. Pedego Canada has been the top distributor of Pedego bikes, ever since Don and Terry started handing out these annual awards. 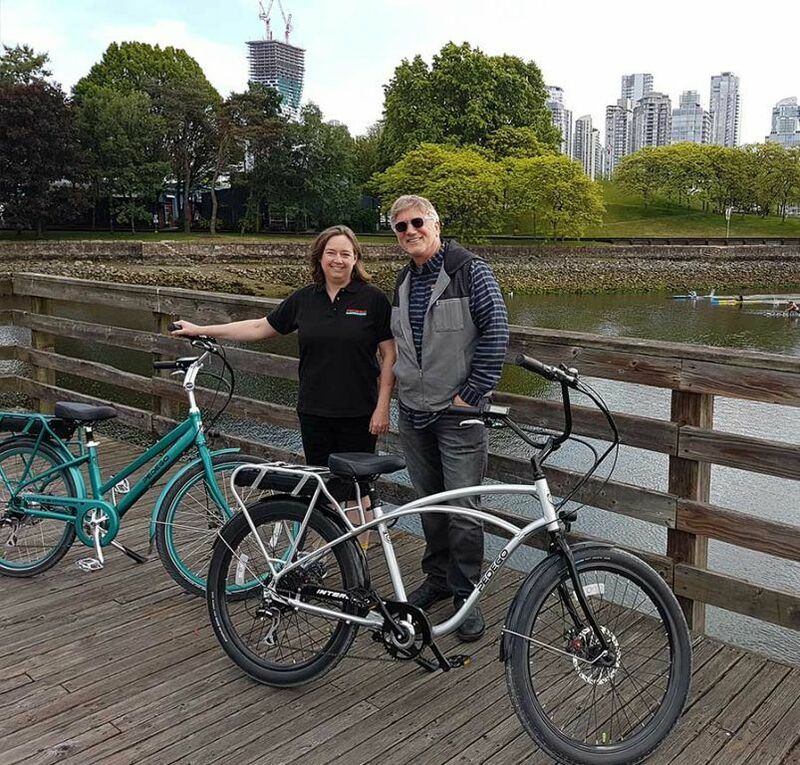 Canadians love our quality electric bicycles that are supported and serviced by independent dealers and backed with industry leading guarantees! 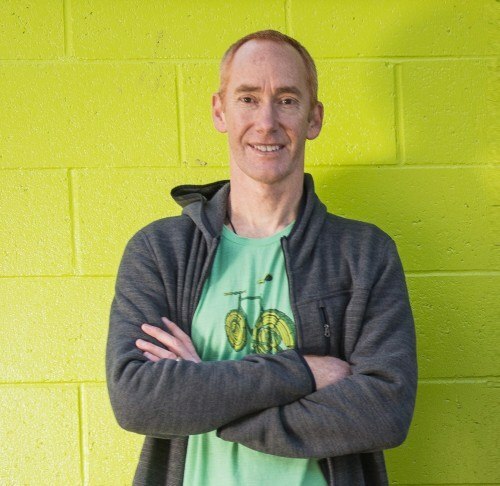 We couldn’t have done it without the thousands of dedicated Pedego owners, riders and dealers who have stood behind our electric bikes for more than a decade. Congratulations!